The white sneakers are a “must” in our closet; however, many times we use them very few times because of the fear of getting dirty. After a while, that white disappears and our sneakers looks more gray than white. For frequent care, you will only need a good cleaner to make them look like new. But in the next case, we presented a leather Mustang sneaker that were placed inside the washing machine. The result? The silver color of the tongue disappeared. 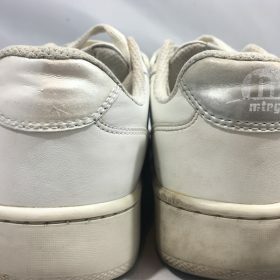 Diagnosis: Accumulated dirt, dirty midsoles, and discoloration of the silver color. 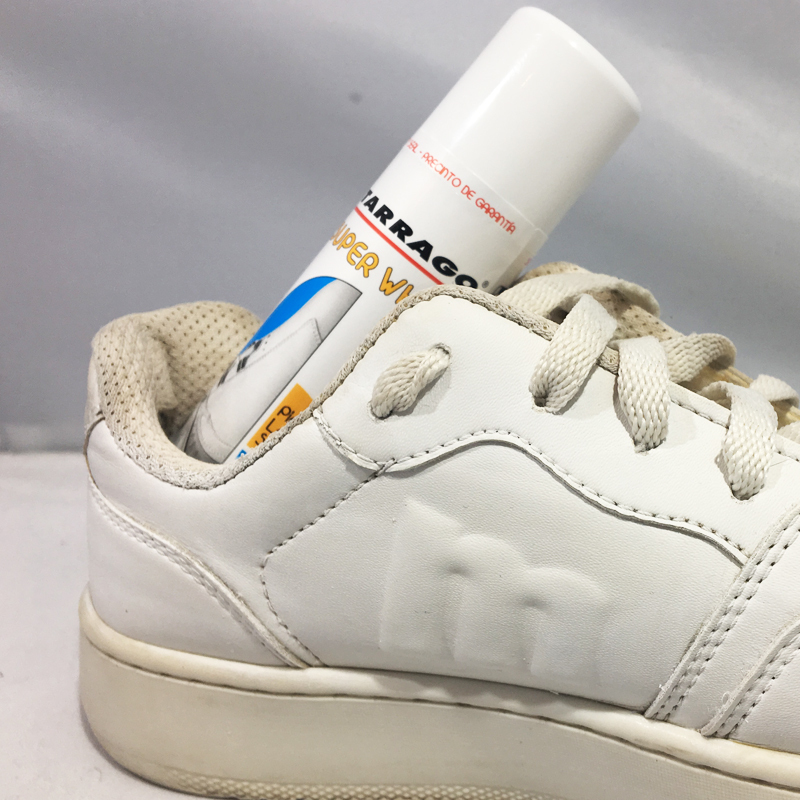 1.We clean all the sneakers with Tarrago Sampoo Spray. We must always clean the surface that we want to recover. 2.As there was dirt very embedded in the rubber, we decided to use the Tarrago Sneakers Midsole Cleaner. We let act only 1 minute and all the dirt is gone. The work that took the longest, has been the dyeing. The original color of the tongue was Silver but we wanted to lower the tone. 3. We use the Tarrago Conditioner to drag the color and open the pore. We always recommend using gloves and a sponge like Scotch Brite. 4. We paint 3 very thin layers of Tarrago Color Dye, light Silver color. Letting dry more than 6 hours between layer and layer. 5. Once the color is ready we decided to use the Tarrago Super White; It has a high concentration of pigments and its application was very easy. You can also put the Super White in the midsole; but we decided to maintain the natural color of the rubber. For inquiries, you can leave comments in the post. 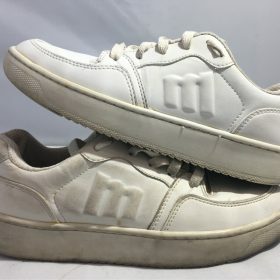 I HAVE SKEETERS WHITE MEN’S GOLF SHOES AND I NEED A GOOD WHITE DYE FOR THE SHOES. ANY SUGGESTIONS ? Of course, we assume that your shoes are made from leather. 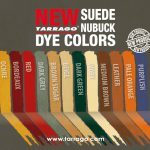 If so and you want an easy solution you can use the Tarrago Super White but if you want to make a full recovery you need in Tarrago Selfh Shine Color Dye Double number -01 white. This product has a glossy finish; If you want a matte finish you can use the Tarrago Sneakers Paint – White.